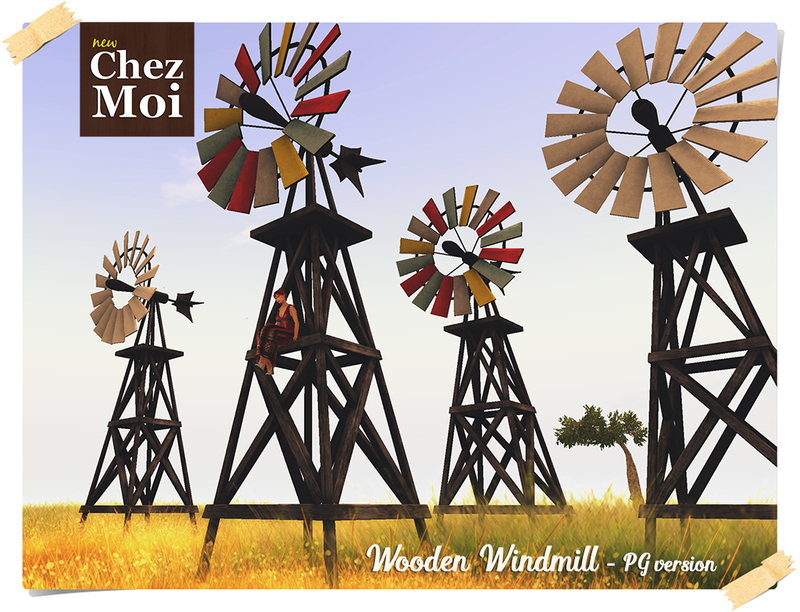 This old Wooden Windmill is perfect to decor big fields or high mountains and create a romantic and peaceful atmosphere. Totally interactive, there are room for 1-2 people to hang out or cuddle, and 64 animations in PG version and over 120 animations in Adult version. 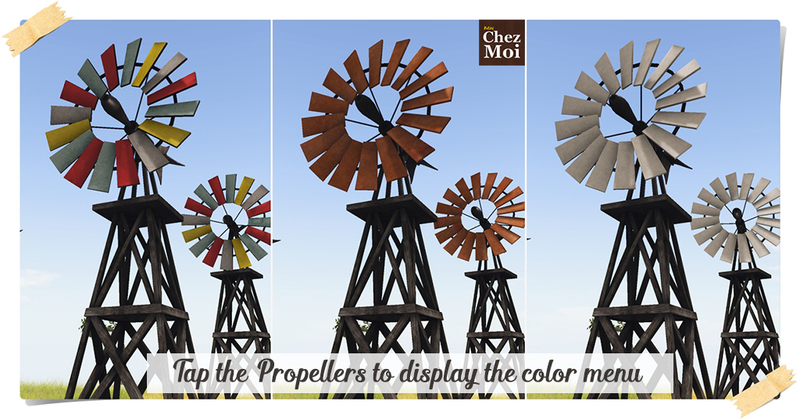 Texture-change options: Tap the propellers to display the color menu – White, Rainbow and Rust Iron. 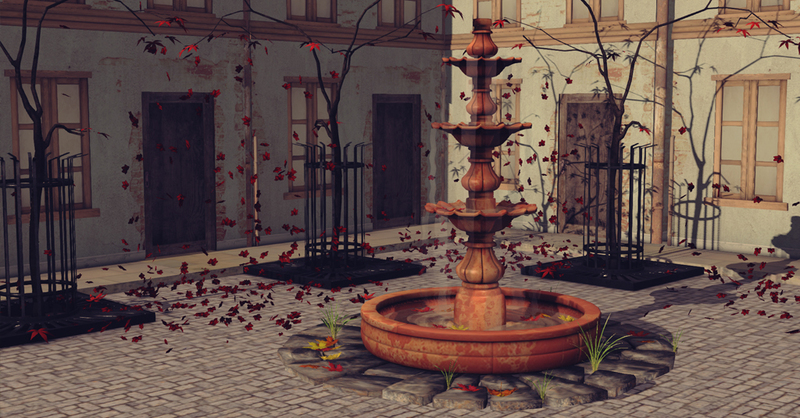 ♥ The Propellers have a slow rotation to make the scene even more realistic. 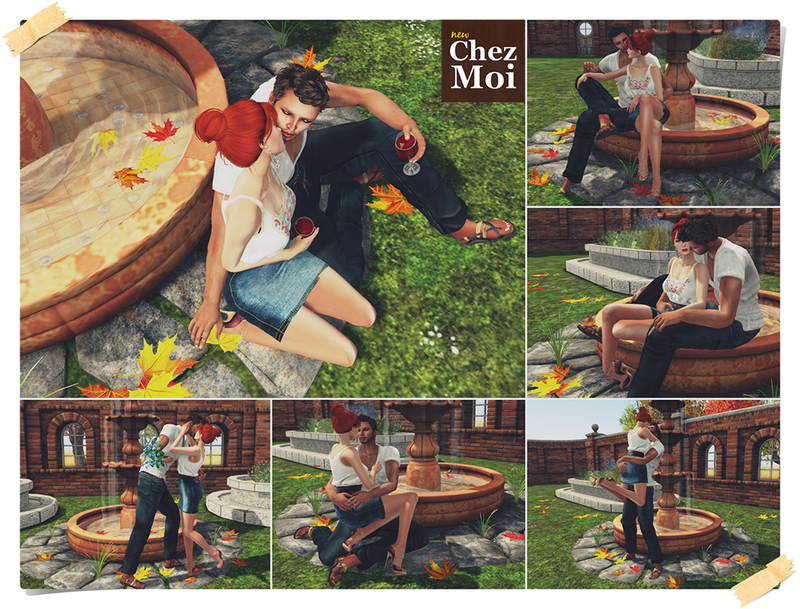 This item is available at CHEZ MOI MARKETPLACE, or for a closer look, visit our INWORLD STORE. An eye-catching Fountain perfect for outdoor and entertainment areas, like gardens and venues. 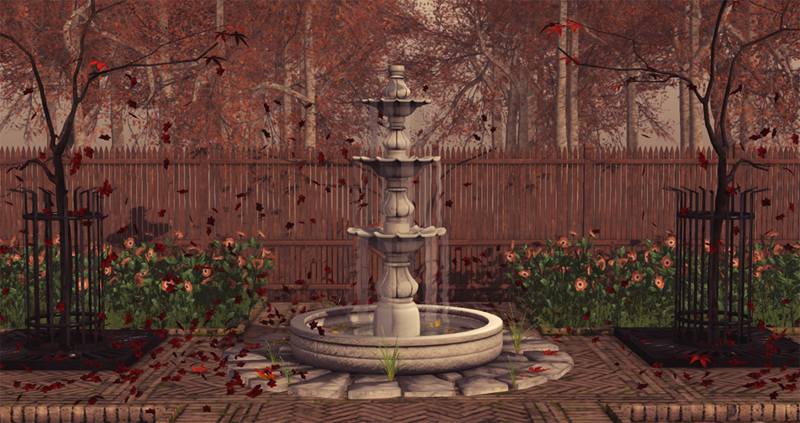 There are animated water effects and a fabulous sound effects menu to control the volume. Materials enabled for a realistic look under changing lighting conditions. 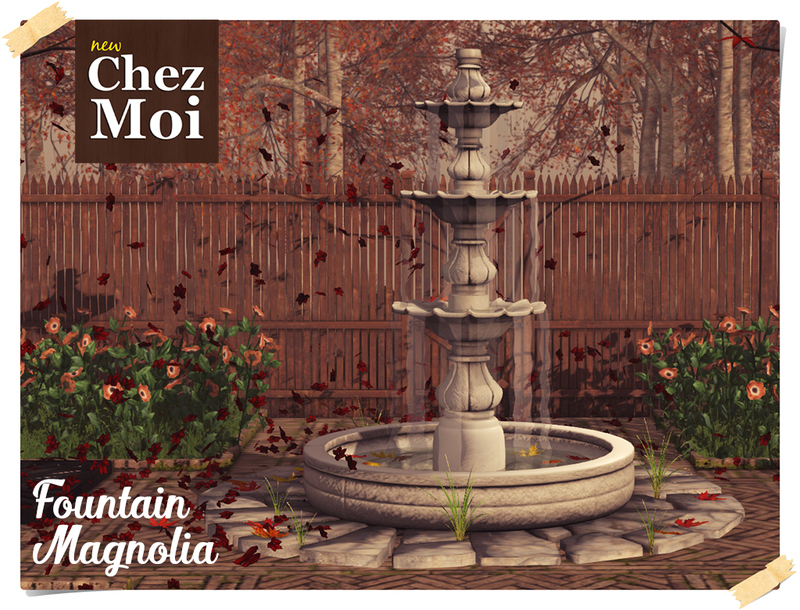 Available in 2 options: Magnolia (White) and Terracotta at CHEZ MOI MARKETPLACE, or for a closer look, visit our INWORLD STORE. 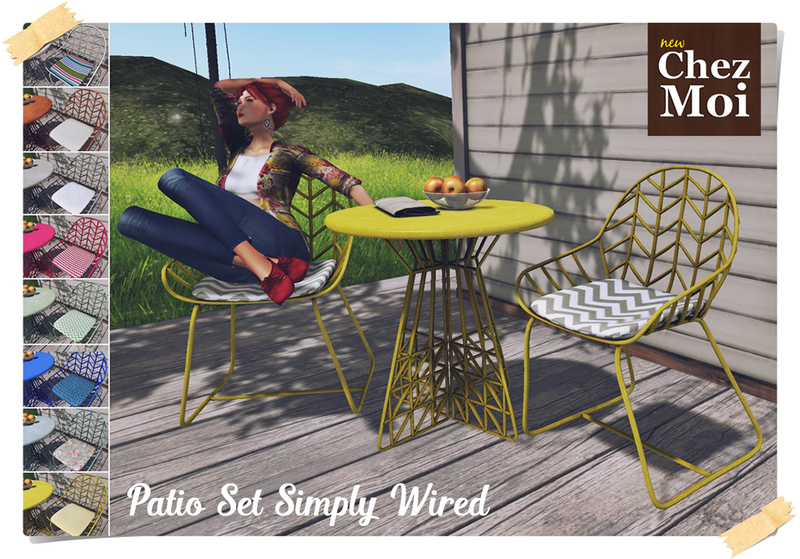 This modern wired style table and chairs can complement outdoor or interior spaces from porches, balconies or patios to contemporary chic places and cafes. The scene as shown has only 6 land impact. 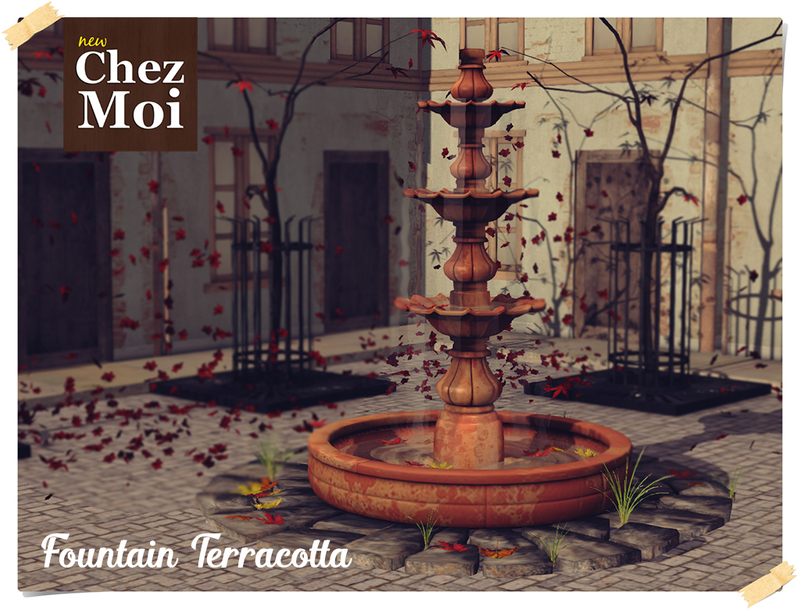 This item is available at CHEZ MOI MARKETPLACE, and for a closer look, visit our INWORLD STORE.